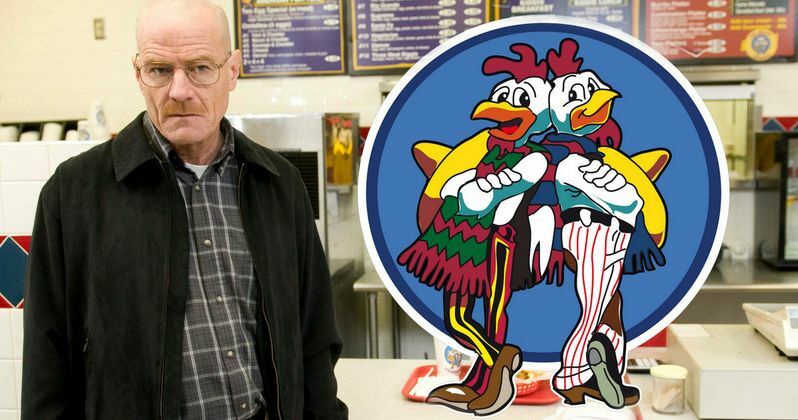 Breaking Bad: Los Pollos Hermanos to Become Real Restaurant? In the third and fourth seasons of AMC's groundbreaking drama series Breaking Bad, one of the primary locations was the fictional fast food restaurant Los Pollos Hermanos, which translates into The Chickens Brothers. The co-owner of this establishment, Gus Fring, played memorably by Giancarlo Esposito, also had a lucrative side business as a major drug trafficker, as he struck up an arrangement with Walter White (Bryan Cranston) to distribute his potent "crystal blue" meth. During the production, the Los Pollos Hermanos scenes were shot in an Albuquerque, New Mexico restaurant named Twisters, but, as it turns out, there may be plans in the works for an actual Los Pollos Hermanos restaurant chain to become a reality. Here's what Breaking Bad series creator Vince Gilligan had to say during a Reddit AMA session yesterday. "Believe it or not... there is talk of a Pollos Hermanos becoming a real restaurant. This is not an idea that I generated personally. But it's one that's been presented to me, through the good folks at Sony, and the idea came to them from a businessman who has an interest in doing just that. Speaking for myself, I'd love to see that happen!" In the show, there were 14 Los Pollos Hermanos locations throughout New Mexico and Nevada. Of course, it isn't known who this mystery businessman is, or where he plans on creating this actual Los Pollos Hermanos restaurant. Would you eat at Los Pollos Hermanos if a restaurant was built in your city? Let us know what you think below.